Intranets have become a necessity for corporate institutions. 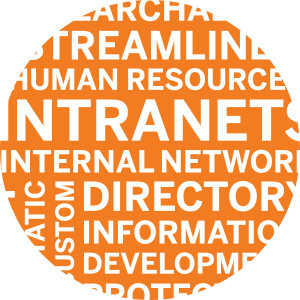 It is crucial for Administration and Human Resources to take advantage of Intranet technology in order to easily and efficiently organize employee and client information. Beyond Spots & Dots will implement an Intranet to streamline operations for any size organization. Our Intranet software allows for complete customization, making our Intranet suitable for any type of institution - from a small business to a government entity. Need more features? Our expert developers are ready to help create the perfect Intranet solution for your business.